Local contractors are being used in the fit-out of the latest new facility, with Bishop Auckland firm G Smith Electrical supplying the lighting, and they have been helped by a grant provided by Durham County Council’s BEEP energy programme. Local firm Scott and Scott is providing the cladding and racking, while Newton Aycliffe – based Kolorspray has also been drafted in to re-paint internal areas. 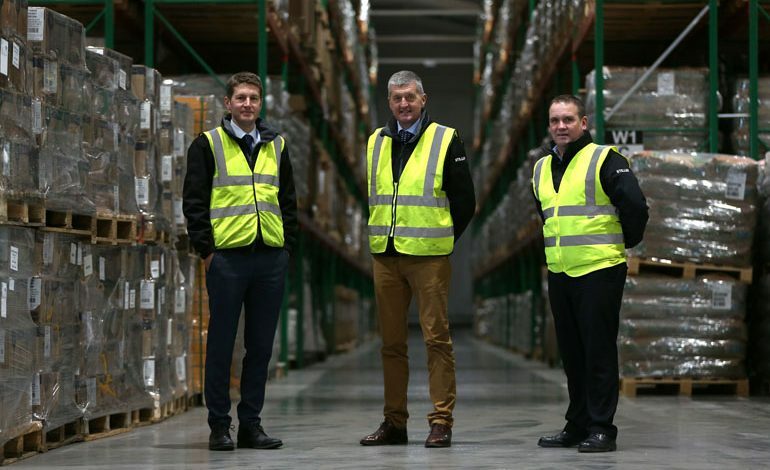 Managing director Matthew Stiller – pictured above (left) with his father Paul with warehouse manager Gary Auston (right) inside the firm’s newly-refurbished facility – said: “It’s a full top-to-tail refurbishment to bring the building up to the highest spec possible, and which is very much part of our long-term investment plan and growth strategy. “We’ve seen an unprecedented rise in the demand for storage space over the last year and we’re expanding to meet that demand. At the end of 2018, Stiller revealed it had invested £1.7m in new vehicles to keep their truckers motoring millions of miles around the country, refreshing its fleet of 45 trucks with 20 new Mercedes Across tractor units. Earlier the firm completed work on a £2m 40,000 sq ft palletised distribution centre, which improved its vehicle loading times. 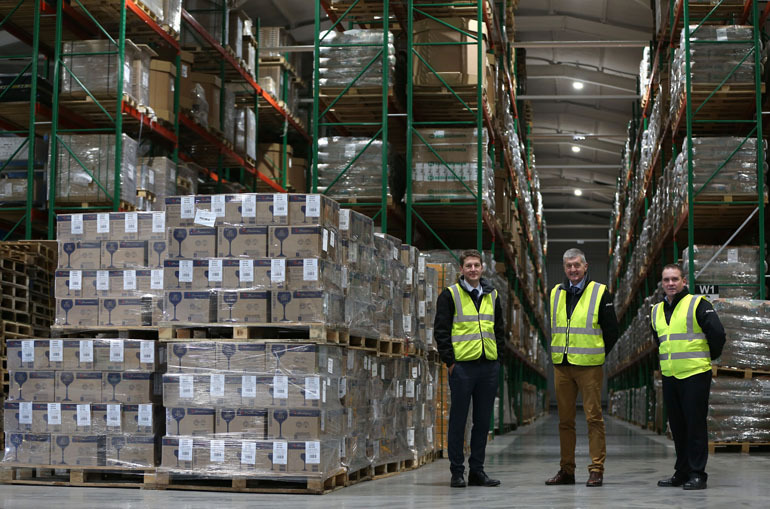 Formed in 1954, Stiller provides cost-effective warehousing and distribution services to businesses in the North-East region as well as commercial property lettings and is also a member and major shareholder in Palletline, a national co-operative network of 70 companies specialising in overnight palletised freight distribution. Stiller’s site stores goods and parts for well-known national brands as well as local businesses including Gestamp Tallent and 3M.